How to make your bathroom to look amazing after years of wear and tear? 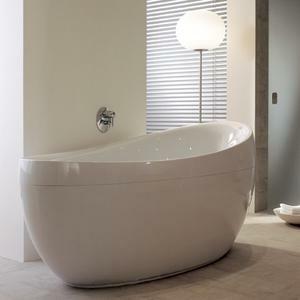 Resurface bathtub, it will be a simple answer that you can get when you have your bathtub look no more shiny and sparkling with its original color. 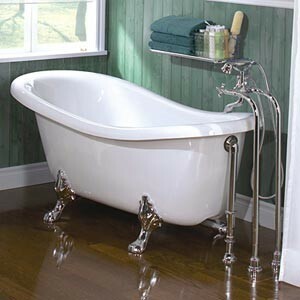 Resurfacing or refinishing is the only solution that you can have for those problems that you may face on your bathtub. 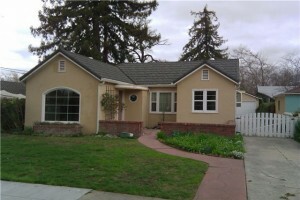 However, there are about several things that you need to consider and to prepare for the resurfacing your bathtub. 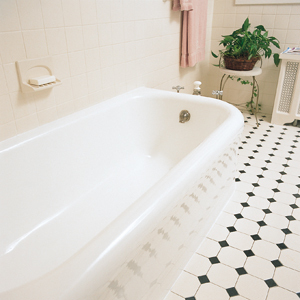 You may resurface bathtub yourself or ask for refinishing technician to help you resurface your bathtub. 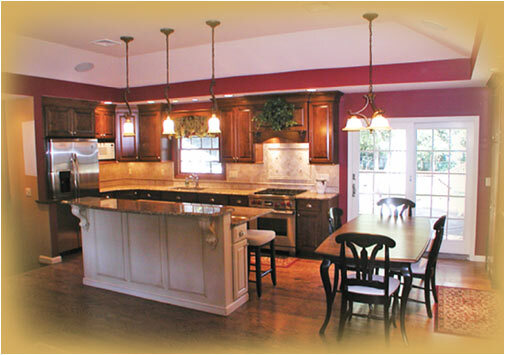 For the best result you may choose to hire a refinishing technician that will definitely take more budgets. For those who have only limited budget, you can do it yourself, but it will need a lot of hard work to get the best result. Since you have decided to resurface bathtub yourself, there are several things that you need to prepare as you will not get those things just sitting around the house. Masking tape or plastic, utility knife, razor scraper, rags, floor stripper, acid cleaner, denatured alcohol, fiberglass filler putty, trowel, wet/dry sandpaper, tack cloth, bonding agent, respirator and protective clothing, paint sprayer, acrylic urethane enamel, power buffer with foam pad, automotive filler compound, polishing cloth, car wax, and silicone caulk are several things that you need to prepare. It is quite a lot for you. Next, you can move to the work after you have prepared those things. With utility knife, you need to carve out the old caulk which connects the tub to the wall and fixtures. 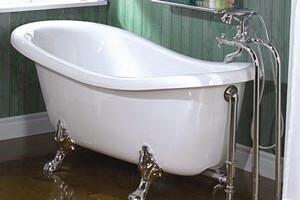 It is needed to complement the new look of the tub. 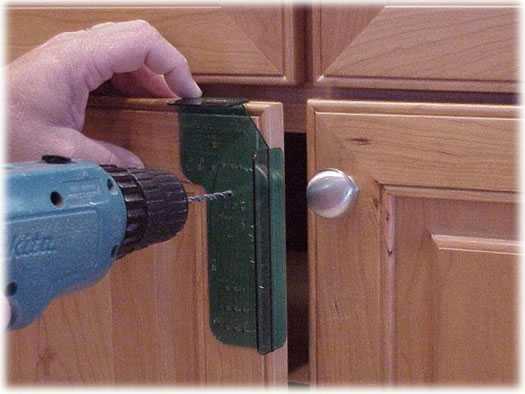 Protective plastic or masking tape is needed to protect the areas such as the holes, faucets and drains from the refinishing or cleaning product you use. You need to scrape out the tub to remove the layer of soap scum on the surface of the tub using the flat edge of the razor. Avoid using the sharp edge since it will damage the tub. To strip away the wax that might be left on the surface of the tub you need to use a rag that have been dampen in alkaline emulsifier. It will help you to remove remaining stain or soap scum. Neutralize the alkaline using citrus-based acid cleaner and rinse it with clean, cool water. Use denatured alcohol to clean and rinse once more. If you find putty, you can use fiberglass filler putty. 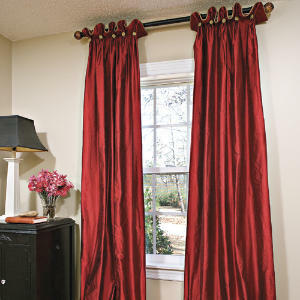 You can sand it with 36-grit sandpaper to remove rough surface and wipe with tack cloth to remove the residual. Acrylic bonding agent can now applied. Using the protective clothing you can spray a coat of acrylic urethane enamel. The clothes will protect you. Sand the entire surface after it is dry fully using wet sandpaper that followed with buffing the surface and also polish it as the last step to resurface bathtub on your own. If you're looking for more inspiration about How to Resurface Bathtub take a look at our image gallery below!